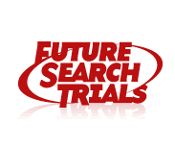 At FutureSearch Trials, we are dedicated to conducting quality, focused clinical trials to determine how new medical approaches work in the treatment of mental health, neurological, certain pain and sleep disorders. Our clinical trials are research studies designed to answer scientific questions and find better ways to prevent, screen for, diagnose or treat particular central nervous system conditions. Patients who take part in clinical trials have an opportunity to contribute to the progress, knowledge and future treatment of medical conditions. Patients are educated on the relevance of the study as it relates to the management of their conditions, as well as the overall health of the community. FutureSearch has gained the trust and respect of pharmaceutical, research and other healthcare companies by continually providing quality data and medical oversight to those involved in clinical trials. FutureSearch is part of an alliance of independent pharmaceutical research studies linked by their desire to foster mutual growth and quality.